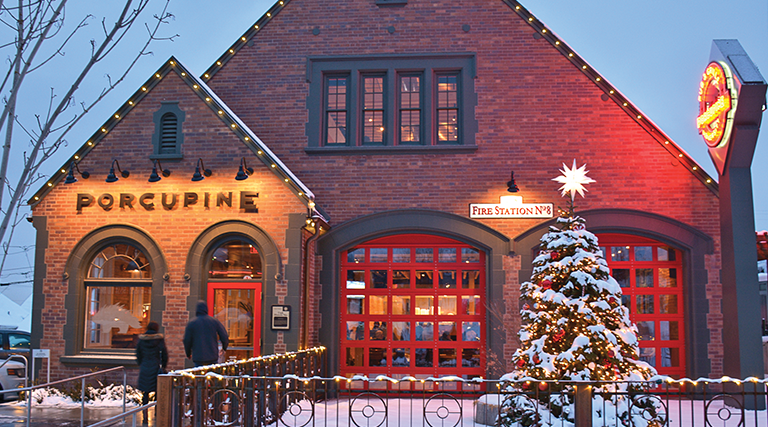 When the first iteration of Porcupine Pub & Grille opened in the mouth of Big Cottonwood Canyon 20 years ago, it was the perfect pit stop for ski bums and snowboard junkies before they hit the slopes. The overwhelming success of that Cottonwood Heights location paved the way for Porcupine’s latest location near Presidents Circle at the University of Utah. The distinctive brick building formerly housed Market Street Grill, and before that, it was a historic firehouse. After undergoing major renovations, the restaurant now features a sleek modern design with table and booth seating on two levels. The wood-vaulted ceilings and support beams on the second-floor overlook a dining area that works for both large groups as well as intimate gatherings. 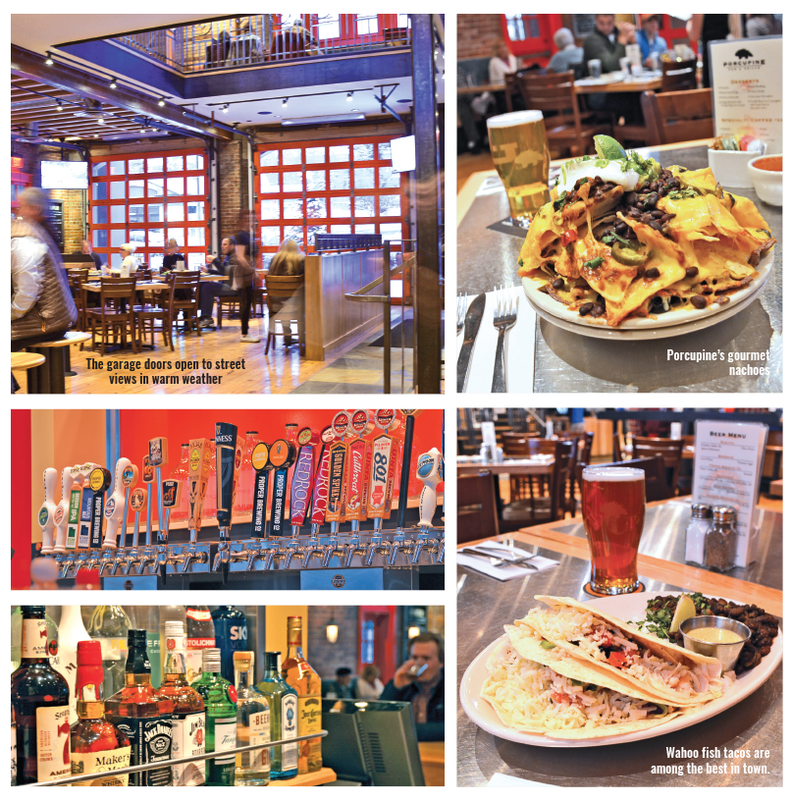 The main floor has an extensive bar top tapped with brews from local favorites and stool seating. In the warmer months, the massive dual garages are peeled back, allowing patrons to enjoy a gentle breeze and mountain views. The tall glass windows flood the eatery with natural light. As far as food fare, it’s hard to improve on the heaping nachos platter ($11.99) topped with all the goodies. Lesser known, but guaranteed to blow you away, are the Wahoo Fish Tacos ($14.99), a combination of grilled wahoo, cabbage and Oaxaca cheese wrapped in both corn and flour tortillas. Top it all off with the lime chipotle sauce, and it competes with any fish tacos in the Salt Lake Valley.